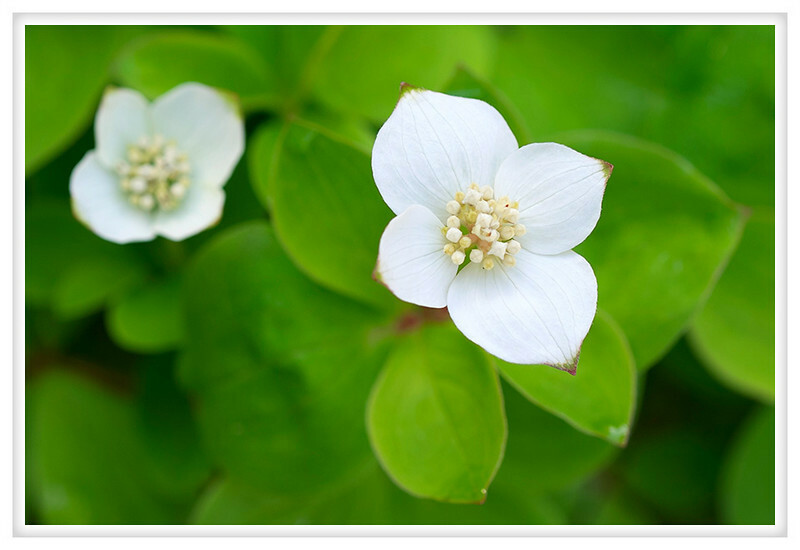 Bunchberries are a relatives of the more familiar dogwood trees but they are only eight inches tall. They spread by rhizomes and will eventually form a nice carpet under the canopy. Their flowers are the same in form as those on dogwood but their name is derived from the bright red fruit they bear which are said to taste similar to apples. These aren't the plants in my yard, they are my friend's plants, but I have a couple flats planted and hope to see a carpet in my yard in a few years.